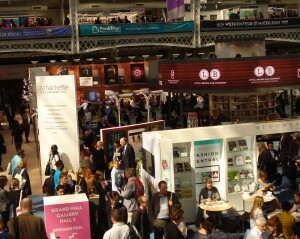 Slogging around the London Book fair is always exhausting – but, for authors, as much as publishers, it’s important to see what’s there. With that in mind, several Nibwebbers attended the fair – most who got there, did so on Tuesday 14 April. If the recession really is ending, now could be a good time for innovative and challenging ideas.